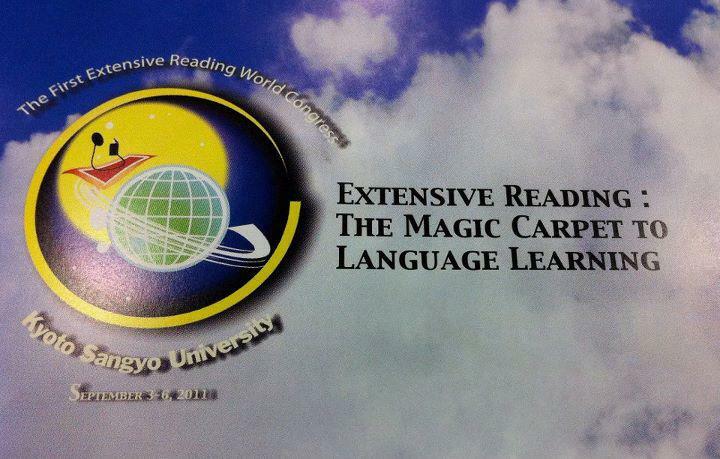 The Extensive Reading Foundation reports that their First Extensive Reading World Congress, held from 3 September to 6 September at Kyoto Sangyo University has been an overwhelming success with more than 400 participants from 20 countries around the world. Participants hailed from the U.K., the U.S., Canada & Mexico, from the Middle East and virtually every country in South and Eastern Asia. Five scholarship recipients, from Indonesia (2), Hong Kong, Malaysia and Iran also attended with their full expenses paid. The congress included some 160 presentations, with ten sessions being delivered concurrently. In addition, there were two plenary lectures, one from David R Hill, fellow of the University of Edinburgh, and William Grabe of Northern Arizona University. Hill’s talk entitled “Taking ER from the Edge to the Center” attempted to address the importance of teaching languages for understanding foreign peoples, and strongly suggested ER play the central role in it. He emphatically stated that for learning a foreign language and other cultures, the primary factor for undertaking Extensive Reading should not be “pleasure” but rather a mandatory activity regardless of whether the student enjoys it or not. David Hill was also presented with the first “John Milne Award for Innovation in Extensive Reading” for his pioneering work on the Edinburgh Extensive Reading Project (EPER). Grabe, in “Extensive Reading: Why isn’t everyone doing it?” surveyed the research on extensive reading, concluding that much research is still required in order to prove it to be a legitimate approach to language learning. He pointed out the various structural and political barriers that must be overcome in order to have the approach widely adopted. 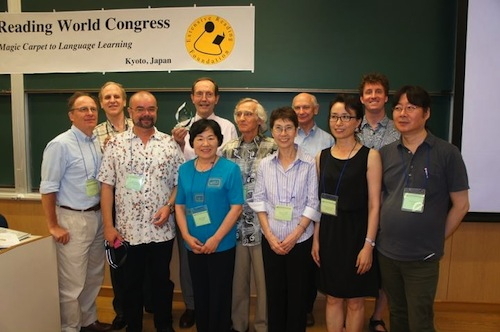 Please click on the link to have access to the Proceeding of the First Extensive Reading World Congress, held in Kyoto, Japan, September 3-6, 2011. They are published by the Extensive Reading Foundation and the Extensive Reading Special Interest Group of the Japan Association for Language Teaching.